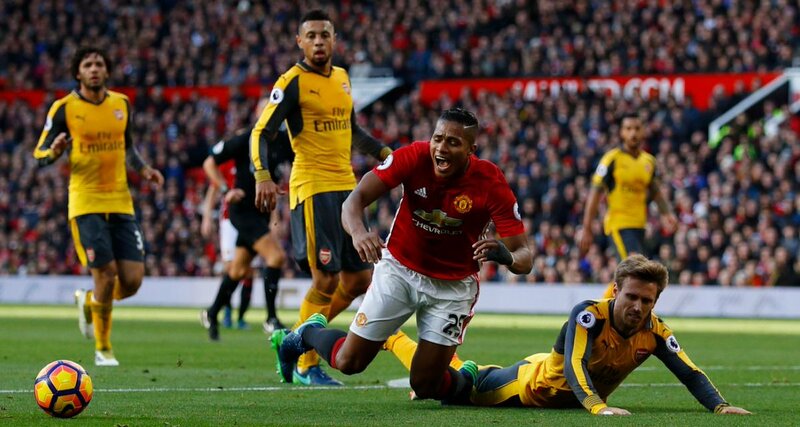 Olivier Giroud forced a draw for Arsenal at the brink of stoppage time to quieten Old Trafford and keep bragging rights tied between Jose Mourinho and Arsene Wenger. The Frenchman's goal cancelled out Juan Mata's strike earlier in the second half, a 45 minute period which followed a dull opening highlighted by a denied penalty appeal. A frosty handshake on a cold lunchtime in Manchester between Mourinho and Wenger was followed by a rather drab 45 minutes of football, with neither side able to get a true hold of the contest. 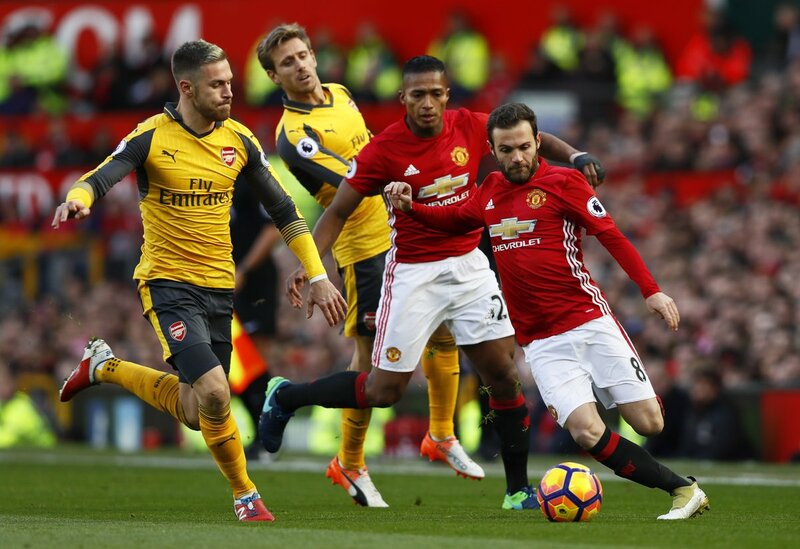 Juan Mata's free-kick which curled wide off the far post was the only thing the host supporters could sink their teeth into early on, while Alexis Sánchez rued a big header chance after his long-range shot was deflected away by Rojo. Both sides seemed content to get a feel of the ball as oppose to doing something convincing with it for the most part of the first-half. Valencia had his moments on the right flank, while Özil and Sánchez were trying to unpin the defence but didn't have enough. It was sloppy, and also in the 35th minute, clumsy - from Monreal. 10 minutes from the interval, Monreal went down trying to challenge Valencia and he took his man with him. A flailing arm made contact and took the United man down leaving the hosts furiously appealing - in vein. Mourinho was irate on the touchline but as replays would show, the contact wasn't substantial. That and a saved Mata shot would be pretty much it from the first. Following some warm spells, the impetus would be on Manchester United who cranked up the pressure against an Arsenal side drifting in some sort of a malaise. They soon acted upon that by bagging the opener. 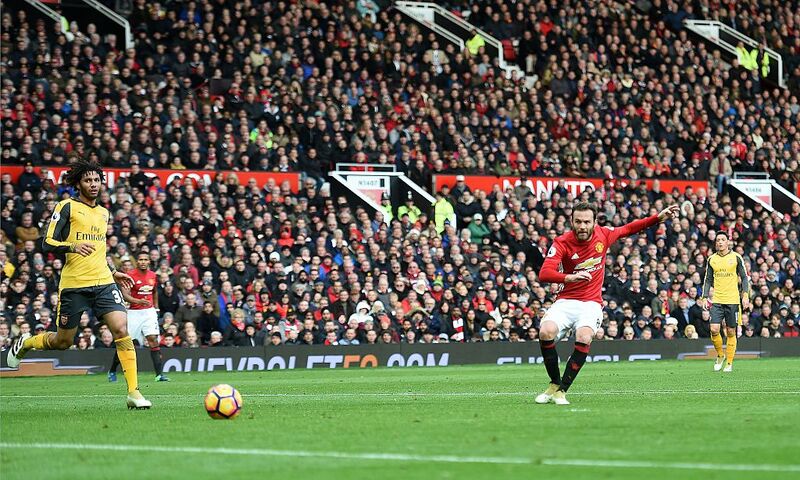 Juan Mata fired home into the low corner after some good work down the right and with that, the Red Devils were closing in on the victory. 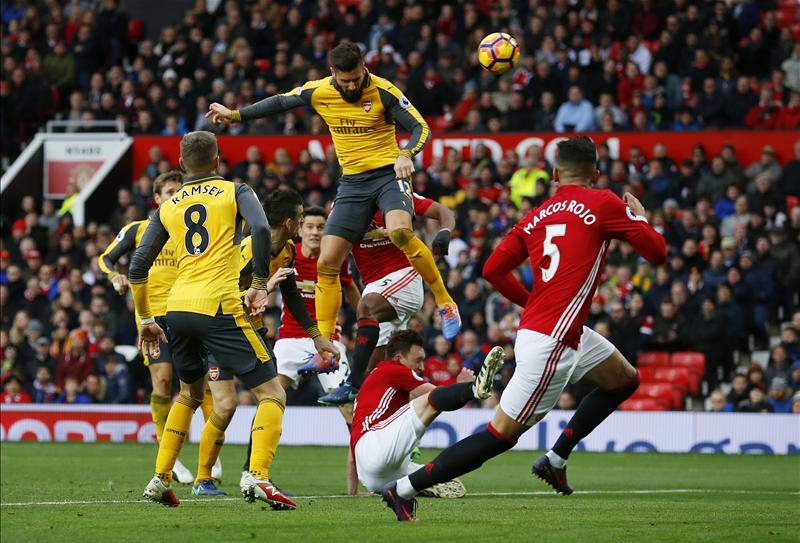 But Arsenal, still looking sapped of inspiration, added Oxlade-Chamberlain and Giroud to the lineup and would reap the rewards late on. The Englishman found his teammate who towered above the rest and planted a header past de Gea to tie things up as stoppage time commenced.